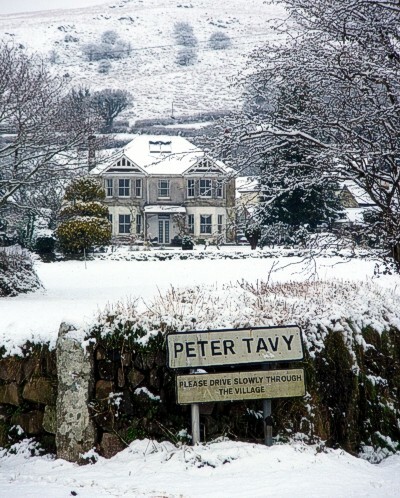 Lying on the western borders of Dartmoor, 3 miles northeast of Tavistock, Peter Tavy is a village with a clear nucleus but which spreads to the south and east. The village has a history of mining, and retains a strong agricultural character. The mills that exploited the power of the Colly Brook that passes through the centre of the settlement are important features. The Methodist Chapel and school were important additions to the village in the 19th century and 20th century building is scattered around the village, particularly in the south. The village progressively lost its range of services and facilities over the years. There is, however, an attractive inn; St Peter’s Church, founded in Norman times; a thriving Methodist church and a village hall. It is notable that the village has retained a working farm at its centre.